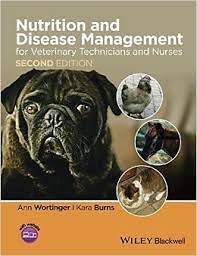 Nutrition for Veterinary Technicians and Nurses serves an introduction to the fundamentals of nutrition and also a guide to monitoring the nutritional needs of patients in daily practice. Students will benefit from the clear and consistent approach to basic principles of nutrition. Practicing technicians and nurses will appreciate the practical applications and techniques for managing the nutritional needs of both sick and healthy patients and guidance for educating clients. Focusing on the unique interests of technicians and nurses, the book is not only relevant and technical but also understandable and usable.